Winter is time for the Beauty Queens to shine no matter if they are out among a falling snow or on a sun kissed beach. From dresses and makeup, to jewelry and jackets. ShareASale Merchants have the perfect products this season for those looking to stay in fashion and in style turning heads wherever they may go this Winter. Founded as a nail parlor in 2007, Julep has expanded into a rapidly-growing beauty brand that takes an end-to-end approach to product development, testing, and distribution. As we’ve evolved, connection to our customers has remained core to our approach. That’s why we source high-quality ingredients that actually work, and never make anything we wouldn’t use ourselves—or recommend for our moms, daughters, and best friends.Every month, we bring a portfolio of the latest in beauty to market, launching over 300 branded products per year, including cosmetics, nail color, and skincare. Our newest discoveries debut through our wildly popular Julep Maven subscription program, the first fully customizable monthly beauty box. You can also find our best sellers at julep.com, Sephora, Nordstrom, on-air at QVC, and in occasional pop-up shops. Join the Julep Affiliate Program at ShareASale. zulily is a retailer obsessed with bringing moms special finds every day–all at incredible prices. We feature an always-fresh, curated collection for the whole family, including clothing, home decor, toys, gifts and more. Join the zulily Affiliate Program on ShareASale. Shop the latest indie and retro-style women’s sweaters at ModCloth. Get free shipping & easy returns on fab sweaters and other stylish tops! ModCloth.com is a top online retailer of remarkable clothing, accessories, and decor from indie designers around the world. We’ve grown from our humble beginnings in a college dorm room to “America’s Fastest-Growing Retailer”, and secured a significant spot in the fashion industry. Join the ModCloth Affiliate Program on ShareASale. 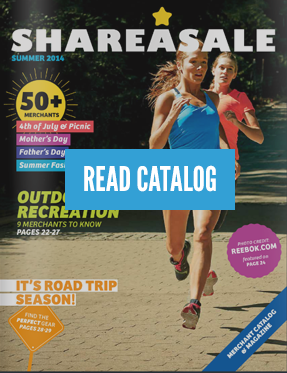 Join The RealReal Affiliate Program on ShareASale. Katarina is one of the most desirable and fastest growing online jewelry brands, serving thousands of satisfied customers since 2004.We are the one-stop-shopping destination for diamond jewelry. Our clientele enjoy a wide range of products which are just a click away: Bracelets, Earrings, Necklaces, Pendants, Rings, Bridals, Watches and many more, which are crafted to perfection and will be in fashion for years. All our jewelry is brand new and made of premium quality diamonds. Our Motto is to offer our customers extraordinary values on an exquisite range of diamond jewelry – all with the privacy, security and convenience of online shopping. In addition, we guarantee your jewelry purchase with our 30 days return policy. Join the Katarina Jewelry Affiliate Program on ShareASale. LuLus.com started with the vision of providing the latest for the fashionably hip along with providing exceptional value, quality, and superb customer service. Since its’ inception in 1996, LuLus.com has grown from a mother-daughter dream to one of the web’s most outstanding shopping experiences. We offer a select choice of clothing, shoes and accessories. Our brands consist of emerging new designers. We buy in very limited quantities and many of our items come fresh from our designers’ studios. Join the LuLu’s Affiliate Program on ShareASale. Our mission is to make personal care more personal by providing exceptional service and building authentic relationships. To do this, we’re turning the hair color industry on its head and developing radically innovative and technology-enabled hair care and color products and experiences.Our focus is on delivering a little bit of pampering and a little bit of glamour all in the convenience of your home, on your own time. We even support you every step of the way to make sure your hair looks incredible and you feel fantastic. Join the Madison Reed Affiliate Program on ShareASale. Join the Rent The Runway Affiliate Program on ShareASale. Join the Pret-A-Beaute Affiliate Program on ShareASale. For over 40 years, Mario Badescu has been known for personalized skin care treatments and products. With Mario Badescu skin care you don’t have to settle for average products. You can now experience the best treatments, available online in the comfort of your home. Our mission is to provide your site visitors with the best quality skin care products in the most hassle free environment. We provide a variety of the best skin care products available, so that your site visitors can purchase the full line of Mario Badescu treatments. Join the Mario Badescu Affiliate Program on ShareASale.